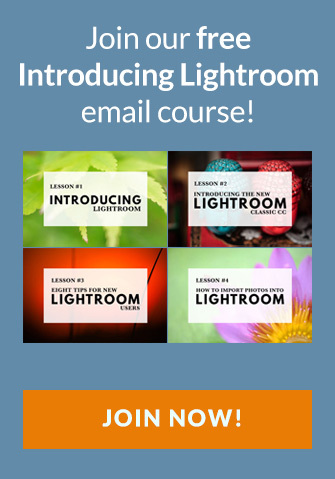 In the first lesson in this series we learned how you can use Lightroom Library filters and the Filter bar to search your photos. We also learned that Library filters and the Filter bar are two different tools – an essential point that helps you understand their behavior. You can catch up on that lesson at the link below if you’ve missed it. In this lesson we’re going to look at some of the more advanced ways you can use Library filters and the Filter bar. You’ll learn more about how Library filters behave, starting with stickyness. On the right side of the Filter bar is a padlock icon. This small icon unlocks (no pun intended!) some quite complex search behavior. It has two settings – locked and unlocked (see below). Click on the padlock to change it from one position to the other. Let’s start with the simple bit first – stickiness. If the padlock is in the unlocked position and you change the source of the search (in other words, you pick another Folder, Collection, Smart Collection or Collection Set to search) Lightroom resets all the search rules you’ve just created. This is obviously frustrating if you want to apply the same search rules to the new source, as it means you need to set up your search again. The solution is to set the padlock to the locked position by clicking on it (or going to File > Library Filters > Lock Filters). This locks the search rules in place so they don’t reset when you change the source. Your search is now sticky. Now for the complex bit. When the search rules are locked (i.e. the padlock icon is in the locked position) Lightroom makes another option available in the Library filters menu – File > Library Filters > Remember Each Source’s Filters Separately. This cryptic sounding option (it took me a little while to understand it) locks the current search rules to current source – that is the Folder, Collection, Smart Collection or Collection Set being searched. Then, just to confuse you, when you change source, Lightroom doesn’t remember the search rules, even if the padlock icon is in the locked position! Here’s how it works (you can follow these steps to test it). Let’s say you wanted to search for 5 star rated photos in a particular Collection. This is what the Library filter settings look like. 1. Pick a specific Folder or Collection and set up a search. It doesn’t matter what it is – you can copy the 5 star search shown above if you like. 2. 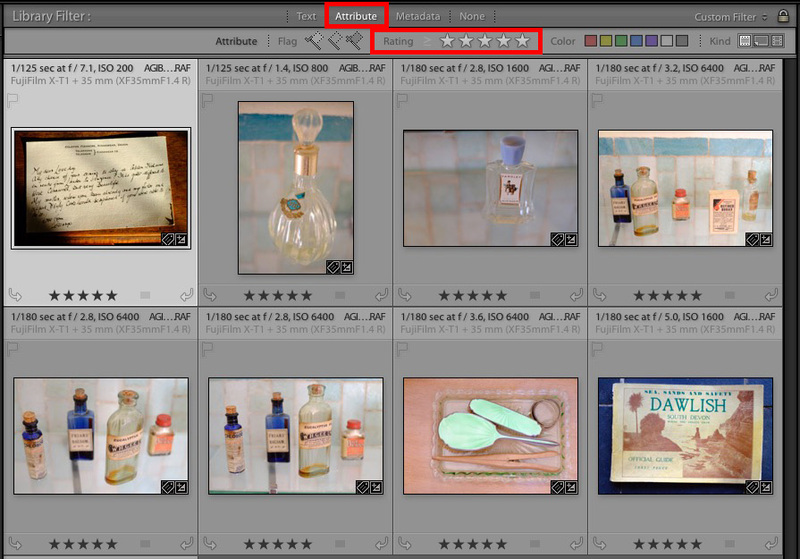 Go to File > Library Filters > Remember Each Source’s Filters Separately to tell Lightroom to remember that search. 3. Switch to another source. You’ll see that the Library filter is set to None (even though we have locked the filters). 4. Create a new search rule. It doesn’t matter what it is, as long as it’s different from the search rule for the previous source. 5. Now return to the original source (the first Folder, Collection, Collection Set or Smart Collection you searched). The search rule to show 5 star rated photos is still in place. So far so good. 7. You click the padlock icon to set it to the unlock position (or go to File > Library Filters > Lock Filters). Now, every time you switch sources, the Library filter is reset to None. By now you’ve probably realized that Library filter searches are temporary. They are gone as soon as you change the search terms or click None in the Filter bar. But what if you use the same search over and over? Or simply want to save the search rules in case you want to use them again? One option is to create a Smart Collection (this is covered in a future lesson). But you can also save a search as a preset by clicking on the preset menu on the right of the Filter bar and selecting Save Current Settings as New Preset. 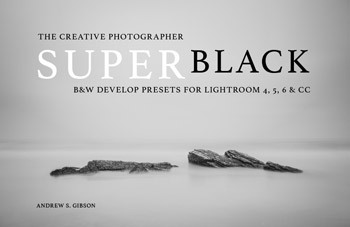 Lightroom has several searches saved as presets for you to use. You’ll find them by clicking on the Presets menu on the right side of the Filter bar. They look something like this. 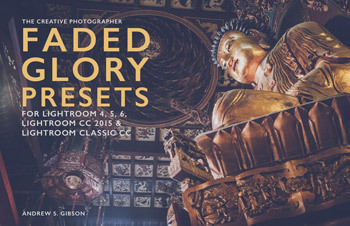 Yours won’t be exactly the same as I’ve added several new presets. You can delete any presets you don’t use so they don’t clutter up the menu. This is a two step process. 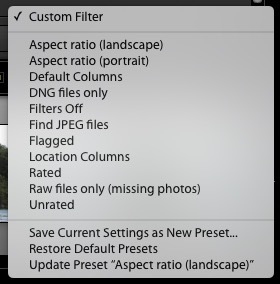 Start by selecting the preset you want to delete. Then go back to the menu and select Delete preset “preset name”. We have already seen that the Filter bar is a tool that lets you search for photos by applying Library filters. 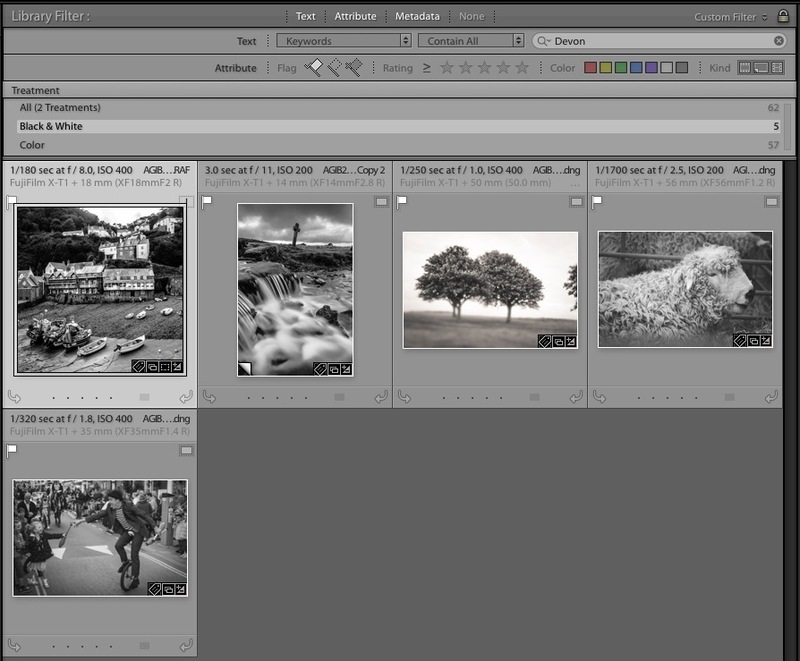 Library filters are also available in the Filmstrip, albeit with fewer options than in the Filter bar. The idea is to give you shortcuts to apply Library filters without using the Filter bar. You can also refine the search results returned by the Filter bar searches using the options in the Filmstrip. One of the functions of the Filmstrip is to tell you what the source of the photos you are looking at in Grid View is (marked below). The file source is the Collection set called Argentina (Nov 2006). That the current search rules have returned 898 of the 899 photos in the Collection Set. There is currently one photo selected. The filename of the most selected photo (IMG_1970.JPG). 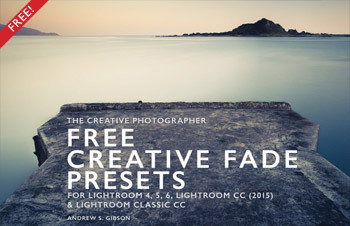 If you click on this display Lightroom shows a menu giving you some choices for changing the source (shown above). Note the Add to Favorites option at the bottom. If there are Folders, Collections, Smart Collections or Collection Sets you return to regularly you can add them to your favorites as a shortcut. The remaining search options are found on the right side of the Filmstrip. I’ve labelled the important parts. 1. Refine the search by Flag, rating or color label. This works exactly the same way as searching by Attribute in the Filter bar. 2. 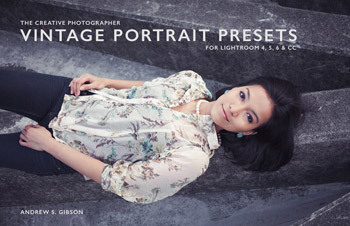 Apply a filter preset created in the Filter bar (or one of Lightroom’s default filter presets). 3. Toggle the Filmstrip search rules on and off. Similar to the Cmd+L / Ctrl+L shortcut for the Filter bar. The Library filters are very powerful and give you a lot of search options. So you may be surprised to learn that for some photographers, this is not enough. Imagine that you are a professional photographer, for example, with hundreds of thousands of photos from all over the world. If a client calls asking if you have a specific photo, you need a way to find it fast. Client requests can be very specific because they are often made with a particular purpose in mind, such as a magazine or book layout. 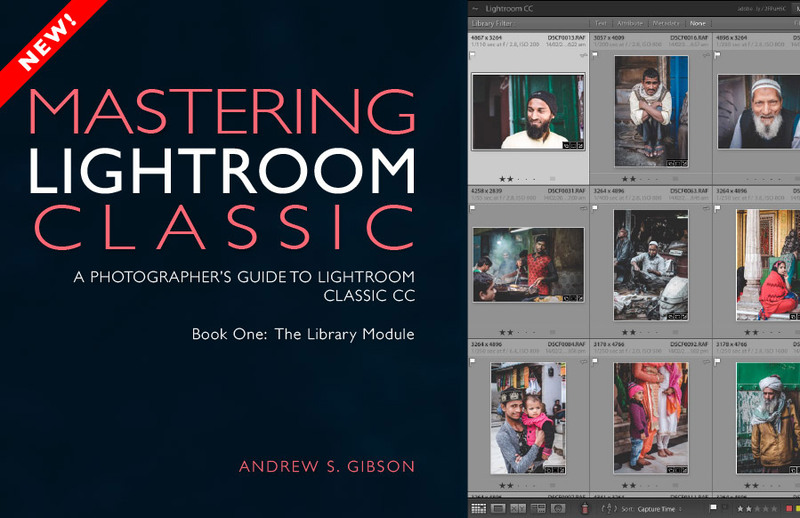 If this applies to you, then photographer and Lightroom expert John Beardsworth has created a couple of plugins you may find useful. Neither is free, but you can use them on a trial basis to see if they are useful to you. Buying and registering the plugin opens its full functionality. You’ll find full details by following the links. This plugin is useful for photographers who take keywording seriously. Imagine, for example, that up until now your keywording has been somewhat haphazard. As you know, keyword tags (and text searches based on keywords) only work if you use keywords consistently. I used the example in lesson one of the keyword tag ‘black and white’. Let’s say you have also used the keyword tag ‘B&W’ on some of your black and white photos, and the keyword tag ‘monochrome’ on others. But from now on you’re going to stick with ‘black and white’. The Search Replace Transfer plugin lets you search for and replace the keywords you want to update, just like search and replace in a word-processing application. That’s just one example of how the Search Replace Transfer plugin can help you. Follow the link to learn more. The ListView plugin gives you the option of viewing search results in list form rather than Grid View. It also displays EXIF and IPTC data in columns next to the photo thumbnails. For example, here’s a search that returned five black and white photos made in the county of Devon in the UK. 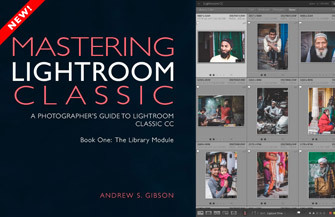 The results are displayed by Lightroom in Grid View. This is what you see using the ListView plugin. The photos are displayed in a list, with EXIF and IPTC data to the right. You can customize the data displayed to suit your needs. I don’t need to tell you how useful this could be – the screenshots tell the story. Follow the link above to learn more. I’ve given you a lot to absorb in this lesson. Hopefully by now you’re starting to appreciate just how powerful Lightroom’s search features are. But you may also be wondering just how this applies to you, especially if you are a hobbyist who doesn’t use keywords or need to search IPTC or EXIF data very often. 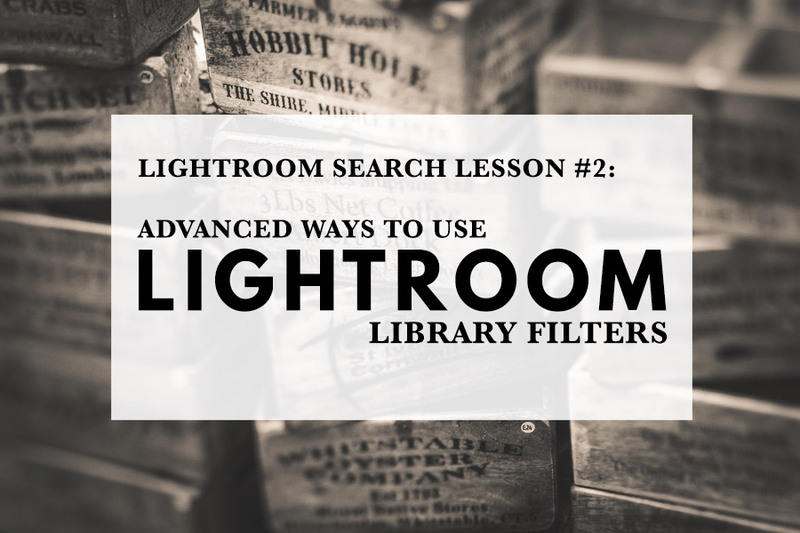 The next lesson shows you some ways you can put Library filter searches to work for you. I’ll add the link below when it’s published.